I'm smitten with this office design by Ector Hoogstad Architecten. 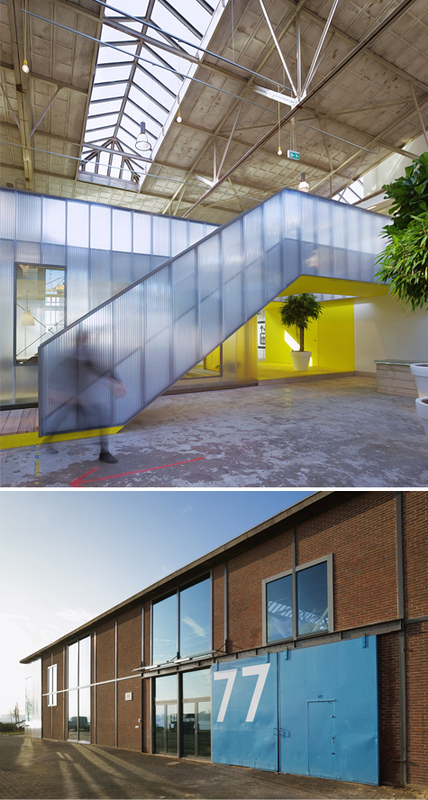 Located in Rotterdam, the converted steel mill now houses a bright, airy office space. My favorite detail? The "outdoor" seating and eating areas! Spectacular. What a beautiful and creative office space - very inspiring! I love the mixture of old industrial and new glass on the exterior elevation.